How Long Should You Let a Baby Cry? 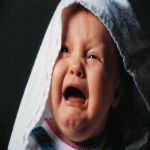 A crying baby is telling you he or she needs something. If you were wondering how long should you let a baby cry, follow certain rules and be careful how you deal with this. Even though it is a little challenging to begin with, learning how to bathe a baby is not that difficult. Bathing can become a fun and happy experience for the two of you after you get skilled. 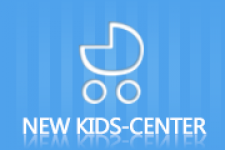 Bathing a newborn is a bit difficult, but you can handle it easily with our instruction. 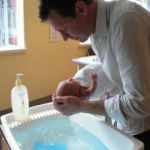 Besides, we have all the answers to the FAQs about bathing a newborn, like when to give the first bath, how to keep your newborn safe. It is normal for parents to worry about nosebleeds in kids. You should familiarize yourself with the causes of a nosebleed and how to treat kids' nosebleeds. Your newborn baby’s umbilical cord is cut off after birth, leaving behind a stump. How to help baby belly button to heal and prevent infection of this part? Baby hiccups may upset a few moms. 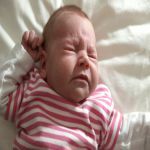 Read on to learn the causes and management options to deal with baby hiccups. Newborn sneezing often alarms new parents who often think that their baby is sick or develops an infection. Read the article to learn more! Newborn watery poop may be normal or may indicate diarrhea. It is important to distinguish between normal watery poop and poop that indicates infection. 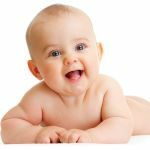 Newborn Poop: What's Normal & Not? How often does a newborn poop? What does it look like? The frequency and texture of a newborn’s poos depend largely on what he eats. My Baby Snores: Is It Normal? Snoring in baby is often caused by clogged airways or poor sleeping postures. The snoring can be solved by simply cleaning the airways.